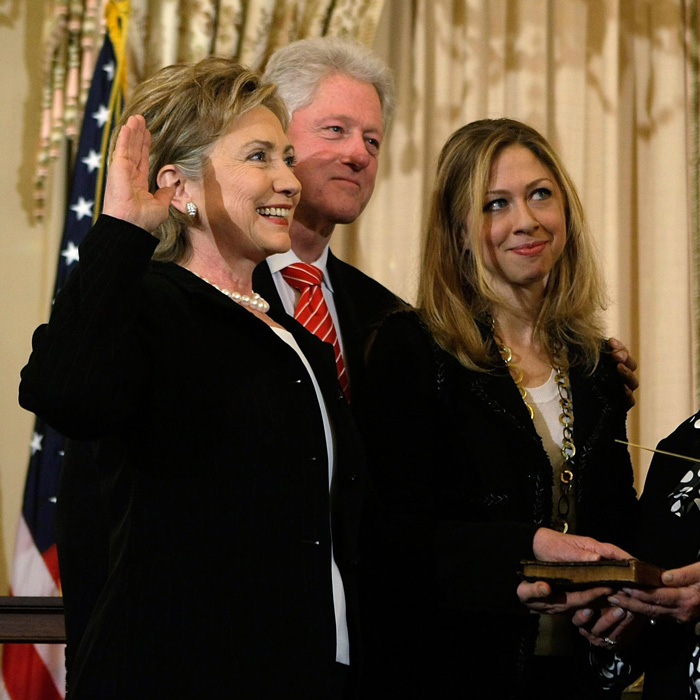 Chelsea Clinton has no plans of following in her parents footsteps. The 37-year-old daughter of former President Bill Clinton debunked rumors that she will be a pursuing a political career. "I am not running for public office," the mum-of-two told Variety for its annual Power of Women New York issue. "I don’t think I’m the best person for that job." Chelsea is no stranger to having her name associated with a possible career in politics, having grown up in the Arkansas Governor's Mansion and the White House. "I really am constantly surprised by the stories of me running for, fill in the blank - Congress, Senate, City Council, the presidency," she said. "I really find this all rather hysterical, because I’ve been asked this question a lot throughout my life, and the answer has never changed." 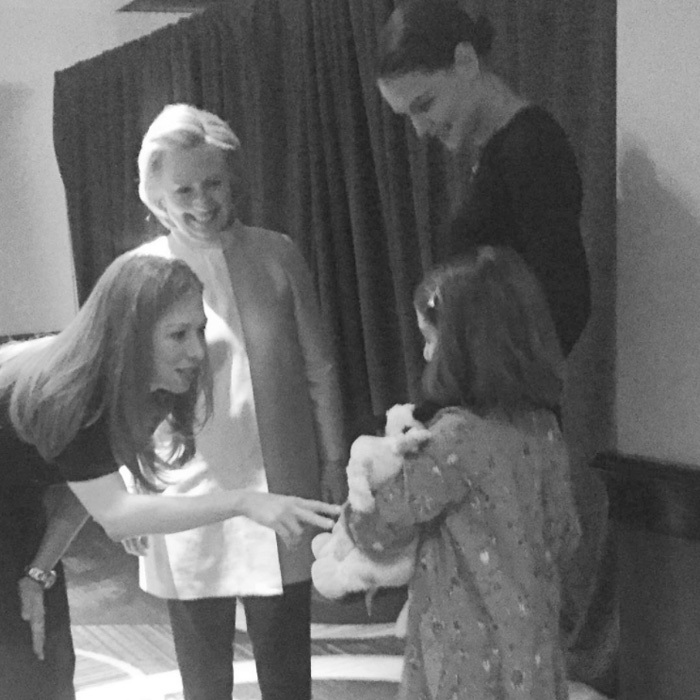 For those interested in pursuing a job in public service, Hillary Clinton's daughter suggested that prospective candidates ask themselves several questions including: "Do you have a vision for what you want to do in this job" and "Do you think you’d do a better job than whomever else is there now?" She said: "I love my City Councilwoman - she's awesome. I support our mayor. I love my Congresswoman. I love our senators. I clearly do not support the president and certainly hope that he is defeated in the next election, but I don’t think I’m the best person for that job." She added: "If someone steps down or something changes, I’ll then ask and answer those questions at that time. But right now, no, I’m not running for public office." Chelsea’s mom was defeated by Katie Holmes recently admitted on SiriusXM’s TODAY Show Radio special The Jenna Bush Hager Show! that her daughter Suri Cruise was "hurt" that Hillary did not win. "I thought Hillary was going to win this year, and it was such a – it just hurt so badly when she didn’t. And I know that it hurt my child so much as a 10-year-old, and it really made me think, 'Oh we have a lot … a long way to go as women,'" the actress said on Wednesday, March 29. "We have to raise our girls to be very strong, not just for themselves, but to open the doors for other people."